I would also think that there would be some big announcements tomorrow - though I would expect Prime Minister Narendra Modi to make them - not the interim Finance Minister. 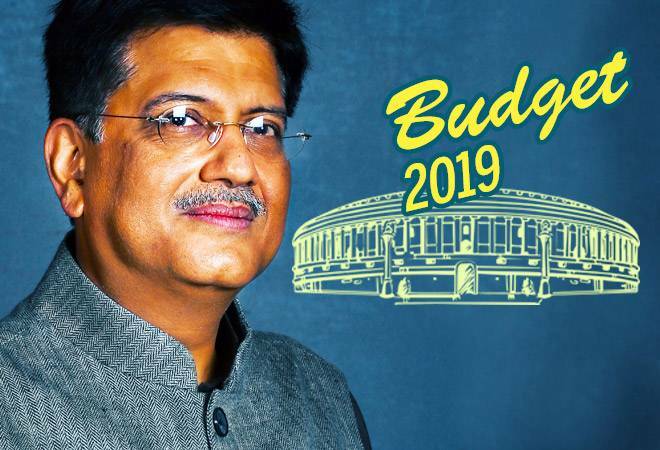 A quick look at last year's Budget proposals show that the PM had mostly misses and few hits though one is forced to assess hits and misses without adequate data or even the insights from an Economic Survey, which is not coming out before this interim budget. Ayushman Bharat, the health scheme, appears to be one of the few hits - though it will take some time before one can independently judge whether the scheme is working as planned or not. There is just not enough data in - only some anecdotal evidence so far - on which people are assessing the scheme. The bigger problem for the Prime Minister is that none of the big announcements that were supposed to fix the rural income and agrarian distress problems have had the slightest impact. The rural infrastructure push has either not created enough jobs or helped in increasing real non-farm rural wages. Meanwhile, Minimum Support Prices (MSPs) have not done much for farmer incomes, and that is one reason for the high degree of disillusionment among the farmers. This also resulted in the BJP losing three states - Madhya Pradesh, Rajasthan and Chattisgarh - to the Congress though the incumbent governments were not too bad. Meanwhile, the Congress president Rahul Gandhi, with his wins in these three states, seems to be making bold announcements that were once only expected of Mr Modi. The minimum income for the poor that he has announced, if the Congress were to form the government, has caught the BJP by surprise. Never mind the fact that the government finances are not in a great shape for the handout of such a largesse and he has not mentioned either where he plans to find funds for this. But then, the benefit of sitting in Opposition is that you can make promises without having to work out the details immediately. He has learnt from the BJP and is using the latter's own tactics of 2014 election to good use. The other bigger headache for the government is that one of its best performances - infrastructure creation - is running out of steam. So far, the government has pushed infrastructure creation using its own funds and some creative fund raising. It did so even in the last year's budget when it announced a steep increase in infrastructure spends. But of late, there are increasing reports of infrastructure projects stalling or NHAI failing to give clearances or even bidders failing to achieve financial closure. Also, given the shortfall in indirect tax revenues and non-tax revenues, increasing spends on infrastructure seems difficult in the short run. That may not prevent the government and the Prime Minister from promising the moon - much as his opponent Rahul Gandhi is doing. The fact that the next government finances will be in no shape to fulfil these promises without steep fiscal slippage is not something they are worrying about. That is a separate problem that will be tackled when the new government presents the full Budget. Till then, promises can always be made. And promises are what counts before an election.